ENENSYS ‘ executive management team brings decades of experience and leadership in the Video Networks industry, including DVB, ATSC and ISDB-T and video over IP. CEO and Vice-Presidents’ previous experiences includes international project management, R&D, marketing, business development and sales. 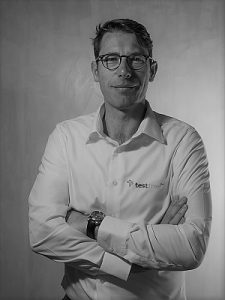 Regis started his career in 1997 at Wandel&Goltermann (today known as JDSU), as Product Manager for the Digital Broadcast product range and introduced the first Real-Time MPEG transport Stream analyzer on the market. In 1999, Regis joined Thomson Broadcast Systems as System Solutions Manager, focusing on innovative architecture for Cable TV and Video over IP Networks. In 2002, Regis was then hired by TDF as Marketing & Sales Manager to study the launch of new MPEG-2 monitoring methods developed in the TDF CCETT research labs. 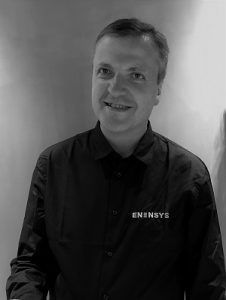 Regis founded ENENSYS in 2004. In addition to his INSA degree in EEE, Regis holds a Master’s of science in Telecommunications from the University of Strathclyde, in Glasgow, Scotland, and a Masters of Business Engineering from the Ecole Nationale Superieure des Telecommunications (ENST) de Bretagne, France. 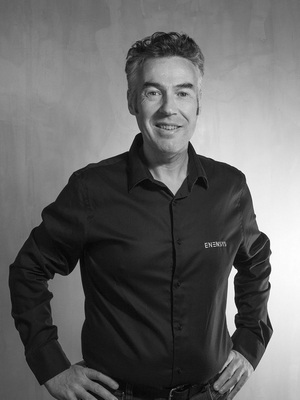 François joined ENENSYS in 2018. Guenhael started his career at Group LEGRIS INDUSTRIES, a French company previously listed on the Paris stock market. In 1996, he joined the French subsidiary of German group Wandel & Goltermann (Acterna, then JDSU) as CFO. In 1998, he came back to Group LEGRIS INDUSTRIES as international financial controller for the subsidiary POTAIN, the world leader in tower crane production. He was expatriated for POTAIN’s joint-venture in Poona City (India) and in Zhangjiagang City (China), and then in Germany. He was involved in creation of joint-ventures and companies acquisitions. Between 2002 and 2006, he served as auditor-consultant in the west of France, focused on strategy, finance and merger & acquisition. He has held the CFO position at ENENSYS since few weeks after the IPO of the company, early 2006. Guenhael holds a Master’s of Finance from the University of Paris II (Pantheon-Assas) and a Master’s of Business & Taw law from the University of Rennes I, France. With ENENSYS, Guenhael wins the price CFO of the Year 2012 from DFCG Bretagne – Pays de la Loire. Thierry is the former CEO of Expway and joined ENENSYS Technologies when the company was acquired. Eric brings more than 25 years of experience leading technical teams in international environments in the broadcast industry. He started his career at Thomson (now Technicolor) where he managed large software development projects for major broadcast customers, including HDTV production equipment and the very first OpenTV-based interactive TV set-top boxes. He then became Vice President of Engineering at Envivio in 2000, a pioneering company awarded several world class distinctions for its MPEG4 video products, which has been recently acquired by Ericsson. 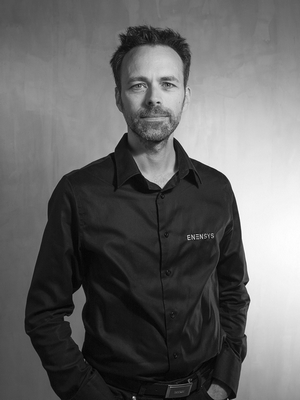 Eric joined ENENSYS in 2007 where he currently holds the position of Vice-President of Operations & Innovation. He leads engineering, manufacturing and technical support teams, and also drives the Intellectual Property activities of the company. He has been involved in various standardization groups throughout the years within MPEG and DVB, and is co-author of more than 20 international patents. Eric graduated from the Supelec engineering school in Paris, and holds an MSc in communication engineering from Imperial College, London and a MBA from the Rennes School of Business Open University. 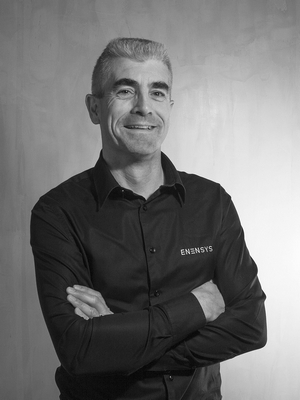 Cédric is the co-founder of Expway and joined ENENSYS Technologies when the company was acquired. Richard began working in digital TV in 1994 at Matra Communications and later joined Thales Broadcast & Multimedia working in the Test & Measurement Department. Later on, he was in charge of the Multimedia Streaming product line where he has been working on the development of DVB-H technology and services. Following the acquisition of Thales Broadcast and Multimedia by Thomson, he was in charge of the main MobileTV deployment for Thomson. Richard joined ENENSYS in 2007 as VP System and Solutions and is now VP Sales & Marketing. Heavily involved in the creation of several patented solutions, Richard has strong expertise in the development and deployment of complex DVB-T2 solutions. Thanks to his expertise, Richard is participating in the ATSC expert group and is in charge of the ATSC3.0 system solutions for ENENSYS. 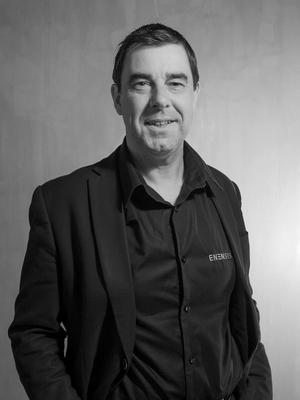 Claude is the co-founder of Expway and joined ENENSYS Technologies when the company was acquired.